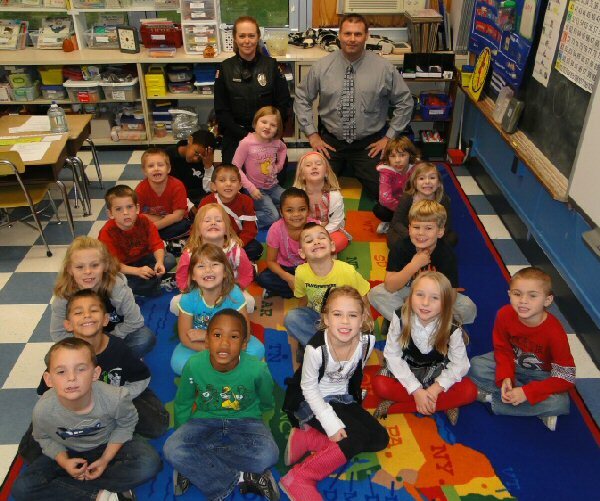 OSWEGO, NY – Charles E. Riley Elementary School teacher Bridgette Krawczyk invited Oswego City Police Department representatives Charles and Lori Burger to her classroom. They taught the children about “Stranger Danger” as students practiced what to do if a stranger approached, if they got lost or how to call 911. They learned the importance of knowing their address, phone number and the names of their parents in the event of emergency. Students also learned about the siren and red lights on emergency vehicles. This is a great topic for all little children that need to know. Get involved and maybe other school should do for this to help our children to know.